Q. Please tell us how was the year 2017 for your organization? The India International Mega Trade Fair (IIMTF) in Bhubaneswar was held from 20th to 30th January, 2017 at the Janta Maidan. In this Fair, 11 countries and 12 states participated and there was a total of 660 participants. The IIMTF in Greater Noida was held at The India Expo Centre from 4th to 15th August, 2017. In this Fair, 17 countries and 18 states participated and there were a total of 1050 participants. The IIMTF in Kolkata was held at the Science City Ground in Kolkata from 15th to 25th December, 2017. In this Fair, 16 countries and 21 states participated and there were a total of 1150 participants. Q. Apart from the IIMTF s in various cities of India, which other Fair has been organized by your company in 2017? A. Apart from the above mentioned Fairs, we also organized the FitExpo at the Science City Ground in Kolkata on 25th and 26th November, 2017. FitExpo is the biggest combined trade platform in East/ North-East India for Fitness, Wellness & Sports industry. It is now a leading Fair of its kind in India. Q. How many Fairs has G S Marketing Associates organized so far? A. In all, the company has organized 202 Trade Fairs and Exhibitions. We are very grateful to our Associate Chamber, The Bengal Chamber of Commerce & Industry for their continued support and cooperation for the IIMTF for the last 7 years. Q. We already know about the IIMTF brand and the quality of the Fairs, can you give some more insights into the Brand and the IIMTF and the reason behind the magnetism of the Fair for both participants and visitors? A. The IIMTF started many years ago in Kolkata and has now matured to become one of India’s biggest and most successful Fairs. Through the years, the IIMTF has grown steadily in size and scope every year – attracting enormous footfalls, participation, business deals, transactions, and tremendous growth in the value of matured business. The IIMTF has got the support of “Make in India” which is an initiative of the Central Government of India on its own merit. 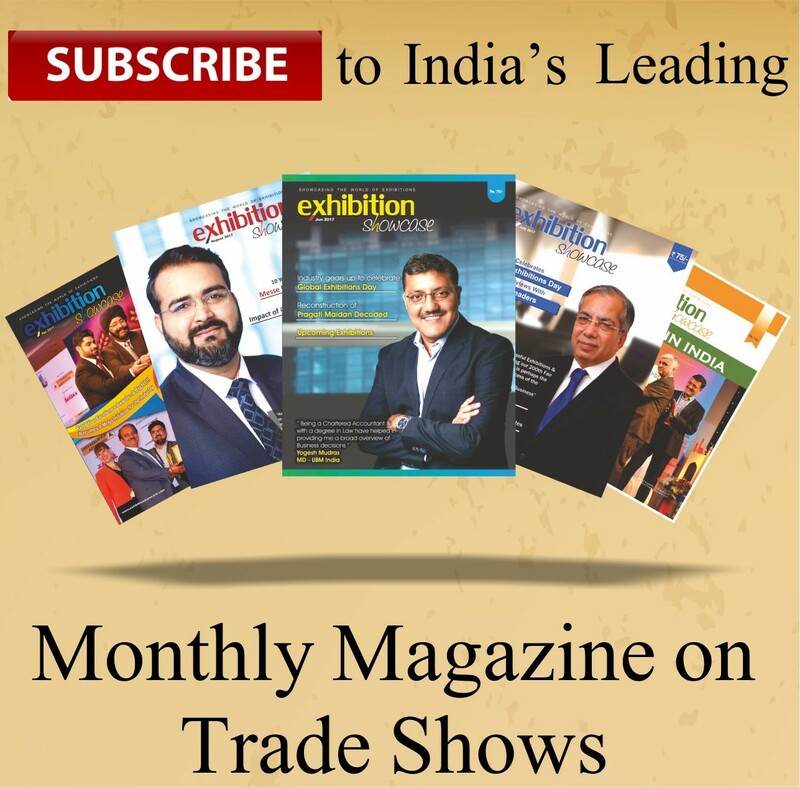 Our Fairs have tremendously helped in the growth of industries of all varieties by way of increase in export-import trade, joint ventures, Business Matching, product launches, product awareness, opening new distribution and marketing networks thus increasing sales of products & services of local and foreign companies. The magnetism of the Fair is due to our high powered publicity campaigns in a perfect media mix as well as our adherence to international standards. Q. What satisfaction have you got after a successful year of exhibitions held in 2017? A. We get satisfaction from the satisfaction of our participants, visitors, the business transactions and business deals clinched during our Fairs. e) Leader in Marketing Initiatives f) Leader in Green Initiatives. Q. Was there any new challenge that you faced in 2017? A. The exhibition business itself is a challenging one. In 2017, we had taken the challenge of organizing the IIMTF in Greater Noida (Delhi-NCR) for the first time. Despite being unaware of the place and the market in the area, we took the plunge fearlessly. After initial teething troubles, we were able to make the Fair a grand success with the active support and cooperation from IEML. We were overwhelmed by the influx of the visitors from Greater Noida and its adjacent areas including New Delhi. We have made many new contacts in Greater Noida and with the active support of Mr. Rakesh Kumar, Chairman of IEML and all others in IEML, I am sure that the Fair will grow bigger and better in this city. Q. What was the response of the people of Kolkata and Bhubaneswar to the IIMTF in 2017? A. We were overwhelmed by the fantastic response of the people of Kolkata and Bhubaneswar to the IIMTFs held in these two cities in 2017. It was way beyond our expectations. Our participants were very happy with the grand success of the Fair in these two cities. Q. What is the aim of G S Marketing Associates after a successful year in 2017? A. The aim of GS is to maintain and increase the growth graph of its Fairs leading to a growth of the regional economy and an increase in export-import trade in the cities where they are held.